The Jyotirlinga of Sri Omkareshwar is a self-manifested (swayambhu) lingam and is located at the island of Mandhata on the banks of river Narmada in Madhya Pradesh. It is at a distance of about 12 miles from Mortakka in Madhya Pradesh. At the site of Omkareshwar, the river Narmada branches into two, forming the island of Mandhata or Shivapuri in the centre. The island is about two kms long and one km wide. The shape of the island resembles that of the visual representation of the sound, ‘Om’. As per legend, once Sage Narada, on one of his visits to the Vindhyas, praised Mount Meru in front of Mount Vindhya. Mount Vindhya upon hearing this, prayed to Lord Shiv to gain importance and was blessed by Lord Shiv who appeared there as Omkareshwar and Amareshwar. Lord Shiv gave Vindhya the boon of growing without disturbing devotees. But Vindhya did not keep its promise and grew on to block the Sun and the Moon, ignoring even Sage Agastya’s entreaties. The sage then asked the mountain to halt its growth till the time he returns to it. Vindhya agreed. Sage Agastya never went back and hence the growth was arrested. The Shiva Purana also talks of the greatness of Omkareshwar. The Emperor Mandhata of the Ishvaku clan, who ruled this land, served great penance on this land and there is an ashram by his name there. His two sons, Ambarish and Mucchkund, are also said to have practiced severe penance and austerities here and pleased Lord Shiv who then emerged as the Omkareshwar jyotirlinga. According to another legend, in the ancient times, the demons defeated the gods and this worried Lord Indra. In order to empower devas once again, Lord Shiv assumed the form of Jyotirmaya Omkar. He came out of the patala in the form of a lingam on the banks of the river Narmada. The gods worshipped the lingam, which made them powerful once again and they destroyed the demons and regained their empire in Heaven. To the south and east of the temples there are cliffs which are over 150m high and form a gorge. The village spreads to the southern bank from the island, and is linked by bridge, as the river is very deep and full of crocodiles. The temple is a beautiful example of early medieval architecture made from locally available soft stone. The intricate detailing, especially in the upper parts of the structure is simply amazing. The most interesting part about this Jyotirlinga is that it is not covered by a dome. The idol of Lord Shiv is put right on the top of the temple. The temple can be easily reached by ferry from the banks of the Narmada. For the benefit of mankind Adidev Mahadev Shiv blessed 12 shivlings with His Divine Light. 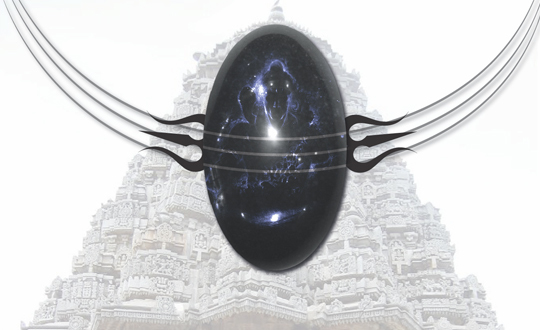 The proof of Lord Shiva’s power is evident from the fact that inspite of being invaded by every possible community and race, all 12 jyotirlingas still stand intact; each jyotirlinga blessing the created world with a unique energy. We shall make an honest attempt to delve into this aspect of Hindu Gods. A word of caution here, the jyotirlingas and any other place of pilgrimage are vortices of energy, places where rishis and munis have performed penance and concentrated the Shakti of their tapobal. These are neither picnic spots nor wishing wells, and must only be visited for the purpose of sadhna as guided by one’s Guru. These are places to open up the blocks in one’s sadhna and untie the bondages of maya. Visiting them with the desire for physical (maya) or entertainment only leads to a mismatch in energy of the visitor and the place, and may have adverse effects.The various calamities that happen at such places are ample proof of this. These places are for vairagya and moksh, not for fun and games.